The FSPENCA277V is designed for use in conjunction with LED Drivers to provide an additional level of protection against powerline disturbances in industrial and commercial applications. Also protects electronic fluorescent and HID ballasts. 4-leaded device that protects Line-Ground, Line-Neutral, and Neutral-Ground in accordance with IEEE / ANSI C62.41.2 guidelines. 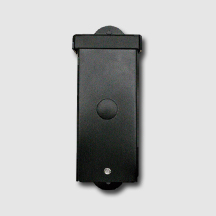 Provides a positive indication of End-of-Life by opening voltage to the fixture, and turning off the fixture. Includes a green LED indicator. When lit, it indicates that the surge protector is fully functional and providing protection to the fixture. When unlit, it indicates that the surge protector has reached End-of-Life and needs to be replaced. Protects against surges according to IEEE C62.41.2 C High (20kA and 10kV). Protects against surges according to ANSI C136.2. Max surge current = 20,000 Amps using industry standard 8/20 μSec wave. 7.0 Amp maximum load. Surge Location Rated Category C3. High temp, flameproof plastic enclosure; 85ºC max surface temp rating. The enclosure is constructed of durable formed aluminum with a removable cover. Each unit is provided with one (1) 1/2” plugged knockout on the removable cover and three (3) 1/2” plugged knockouts for conduit entry on the bottom of the housing. Super Durable Polyester powder coat finish is electrostatically applied in our state of the art paint facility. Standard colors available: Black, Bronze, US Green, White. Custom colors available upon request. The enclosure is designed for exterior mounting on a wall, structure, or post in the vertical position. Internal fused surge protector a UL Recognized Component in the United States and Canada (UL1449). Complies with IEC 61643-11; 8.3.4.3. IP65 rated.